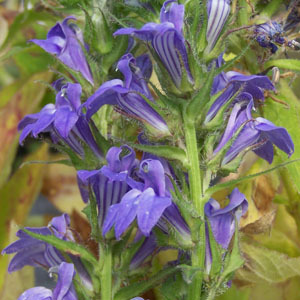 A North American native, with tall unbranched stems topped with spikes of large bluish purple flowers. Nice in a wild garden; it will self-seed. Categories: all potted plants, medicinal herbs, native American plants, new this year, Potted Plants, More..